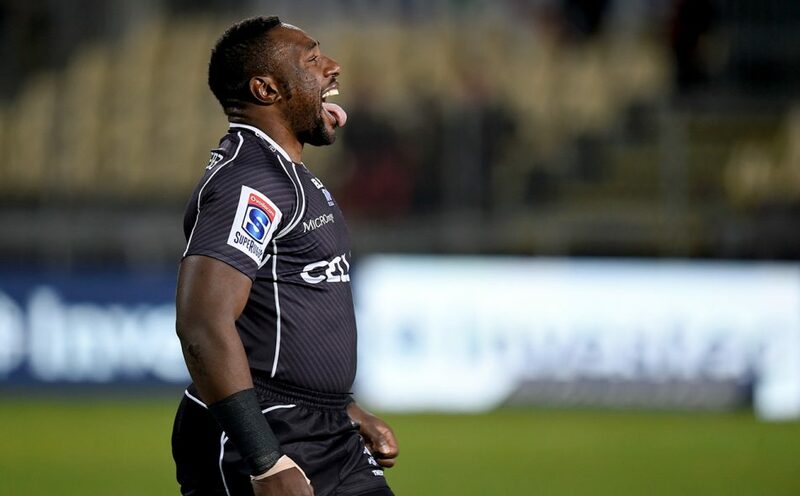 If the sudden withdrawal of Tendai ‘The Beast’ Mtawarira from the Springbok squad has had any benefits, it’s the drawing of attention to a relatively common, and sometimes devastating, heart condition; and one that could be a growing concern for other rugby forwards. Mtawarira’s withdrawal was something of a double blow for Springbok supporters, not only because of his prominence in the team; but also because of why he was withdrawn. The official announcement was that he had experienced mild heart palpitations. It’s fair to wonder how a man of such physical strength could be sidelined by something that sounds seemingly inconsequential. The reality, according to Dr Vash Mungal-Singh, the CEO of Heart and Stroke Foundation SA, is that what Mtawarira was diagnosed with – atrial fibrillation – is anything but inconsequential. “It is the most common cause of cardio-embolic stroke”. It is however easily treatable. As the news of Mtawarira’s condition spread, the term ‘atrial fibrillation’ found its way into the news, with few attempts to really explain it outside of the fact that it’s a condition associated with irregular heartbeats. To understand it better we need to examine the role of the heart in circulating blood throughout the body to distribute oxygen and essential nutrients. Oxygenated blood is collected from the lungs and pumped via the left atrium at the top of the heart into the left just ventricle below it, then into the aorta and out into the rest of the body. It is then pumped through the right atrium into the right ventricle and back to the lungs via the pulmonary artery. It’s a circular process controlled by a series of co-ordinated electrical impulses. However, if for some reason the timing of these electrical pulses is thrown out, the walls of the atria can vibrate rapidly. This is called fibrillation. Examining and treating this disruption of cardiac electrical impulses is the specialised focus of electrophysiologists such as Dr Israel Obel, who is based at Milpark Hospital in Johannesburg. For Dr Obel, Mtawarira’s condition is nothing unusual, “it is the commonest important alteration and abnormality of cardiac rhythm”. In fact, he says, atrial fibrillation can be looked upon as the end-point of a number of different conditions, many of which have common pathways in the production of the problem. Common associations include aging, high blood pressure, diabetes, obesity, heart failure and sleep apnoea, all of which are becoming increasingly common in South Africa as the country develops a more Westernised lifestyle. It’s the association with sleep apnoea that started alarm bells ringing for Dr Obel when he heard about Mtawarira. “There is strong suspicion in my mind that he might have obstructive sleep apnoea because of his very thick neck.” It’s not uncommon for front row forwards to develop severe snoring; and no touring tales are complete without stories of forwards, especially, snoring so loudly they keep their roommates awake. Onset of atrial fibrillation is normally experienced by the sensation of palpitations and a tightness of the chest, sometimes accompanied by shortness of breath, feelings of dizziness or light headedness, and fainting. However, there’s a danger these could be dismissed by the sufferer as a panic attack, and could explain why it’s often not noticed until too late. It’s also becoming increasingly common in South Africa. A 2010 study by the Australia-based Baker IDI Heart and Diabetes Institute found evidence that urban Africans were also developing atrial fibrillation at a relatively young age. The good news is that it’s relatively easy to address. The most common intervention is the prescription of a course of anticoagulation medication to prevent the formation of blood clots. This may seem a little strange: if fibrillation is a result of faulty electrical impulses within the heart, why is an anticoagulant the normal course of action? Dr Adrian Horak, a cardiologist based at Vincent Palotti Hospital in Cape Town points to the behaviour of blood within a heart experiencing fibrillation. Because the atria are no longer contracting properly there are areas in the atria where the blood is not being pumped, so it tends to “sludge around and stagnate”. This is where the danger lurks. “We use an anticoagulant to prevent one of the complications of atrial fibrillation, namely the formation of clots that if carried through the blood stream to the brain, can result in a stroke”. If atrial fibrillation is left without anticoagulation, then one in three people will end up with a stroke. “That”, says Dr Horak,” is a frightening statistic”. But anticoagulants are not altogether innocent. They carry with them the risk of bleeding, especially gastrointestinal bleeding and intracranial haemorrhage; which is why patients with atrial fibrillation are normally assessed according to a measure of risk factors including age, sexual category, evidence of hypertension, diabetes or vascular disease, and prior stroke. Until relatively recently one of the most commonly prescribed anticoagulants was warfarin, which is marketed under various brand names. “It’s extremely efficient”, says Dr Obel, “but difficult to administer – if the dose is not correct for a patient all the time, there is either the chance of inefficacy or significant complications”. The dose range changes frequently in many people, and is often affected by food substances, drugs and inter-current illnesses. For this reason it is necessary to monitor the effects of warfarin in any particular patient with blood tests and to adjust the dose accordingly. However, a new anticoagulant drug called dabigatran etexilate – developed by Boehringer Ingelheim and marketed under the brand name Predaxa – is hoping to challenge the incumbent. It was introduced to South Africa in October. According to Dr Obel, it offers the patient a predictable response for a particular drug dose, often modified according to factors such as age and kidney function. The patient therefore does not have to go for regular testing to be virtually guaranteed of having an effective preventative dose of the drug. Dr Kevin Ho, the Medical Director of Boehringer Ingelheim South Africa explains why dabigatran has caught the attention of cardiologists: “It specifically inhibits the action of thrombin, a clotting factor pivotal in clot formation, whereas warfarin affects various vitamin K dependent clotting factors.” This is why certain foods high in vitamin K, such as leafy green vegetables, affect the level of anticoagulation in patients on warfarin. Also, alcohol affects the body’s ability to handle warfarin and can accelerate its effects, resulting in bleeding. However, after Pradaxa was launched in the US in 2010, it was dogged by reports apparently linking it to serious bleeding events. This prompted the US Food and Drug Administration (FDA) to announce in December the following year that it was conducting a safety review of Pradaxa. The results of that review were published earlier in November. The FDA declared that, “bleeding rates associated with new use of Pradaxa do not appear to be higher than [those] with new use of warfarin”. This was consistent with observations from an earlier large clinical trial of 5,851 patients on dabigatran. For the moment, warfarin is the anticoagulant of choice at state-run clinics. However, there are concerns for Dr Mungal-Singh that the problems associated with warfarin are compounded in rural areas where the distances patients have to travel to clinics may be considerable. This presents a challenge for the monitoring and adjustment of their warfarin dose. “There needs to be an adequate health care infrastructure, which is often lacking in developing countries like South Africa.” For this reason, dabigatran has a certain clear advantage. However, as Dr Mungal-Singh points out, there’s a catch: “it’s a lot more expensive”.